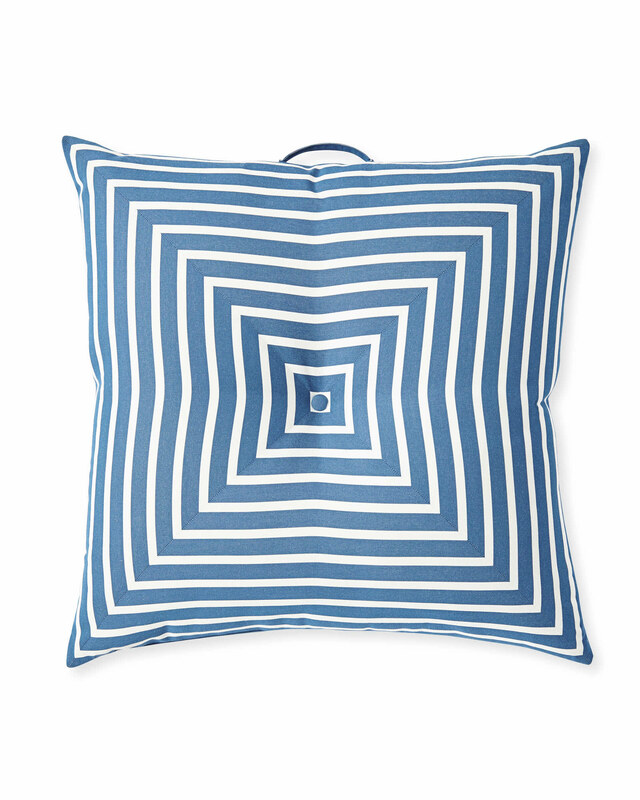 Harbour Island Floor Pillow - Cobalt StripeHarbour Island Floor Pillow - Cobalt Stripe, alt="Harbour Island Floor Pillow - Cobalt Stripe, "
Print Meet your new floor plan: Comfy, coastal pillows that perfect the art of lounging around. These are outfitted in weather-hardy fabric and go-anywhere colors, so you can layer them with abandon. Includes a handle on one side for easy transportation. Sunbrella® all-weather fabric designed to repel water, resist mildew and stand up to extreme sun, heat and rain exposure without fading. 34”W x 34”D x 10”H.